Do you have a kiddo heading off to college in the fall? 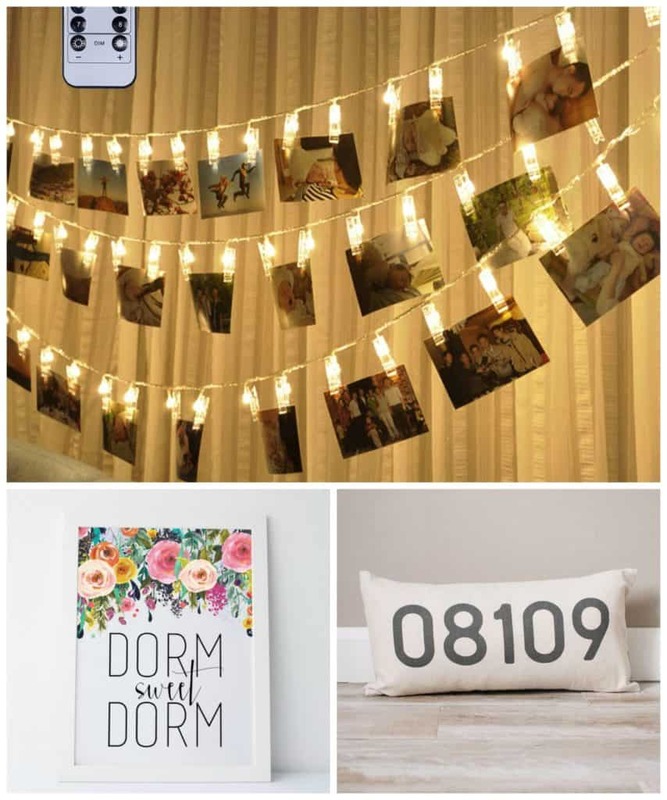 If you’re looking for fun and necessary items for his or her room, you won’t want to forget these dorm room supplies! When I was in college, I loved to display picures of family and friends. 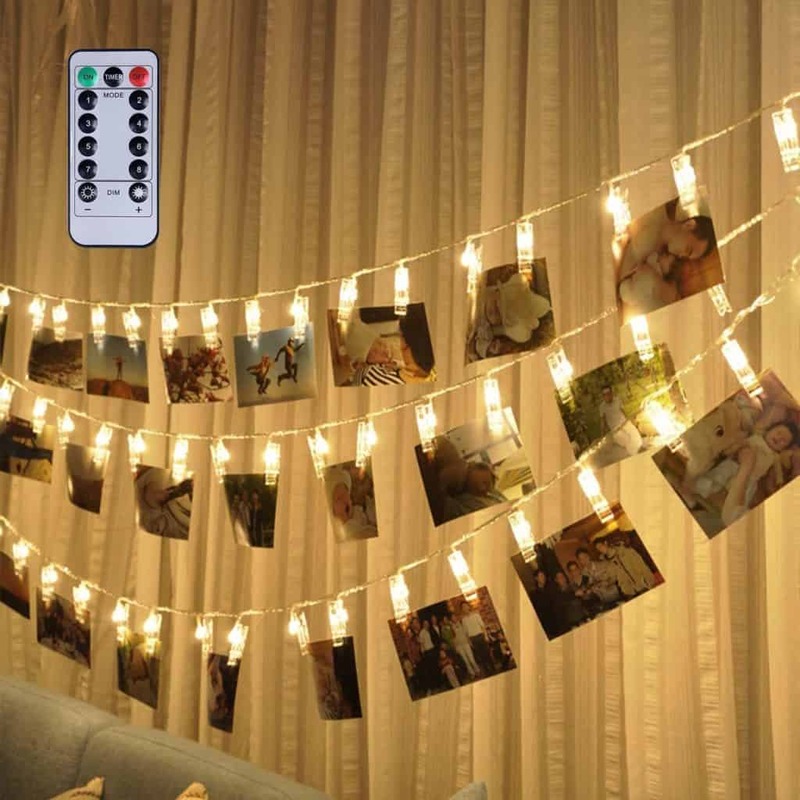 This strand of LED Photo Clip String Lights is a fun and homey way to both show off favorite pictures and add some warmth to the room. Get this for $15.99. 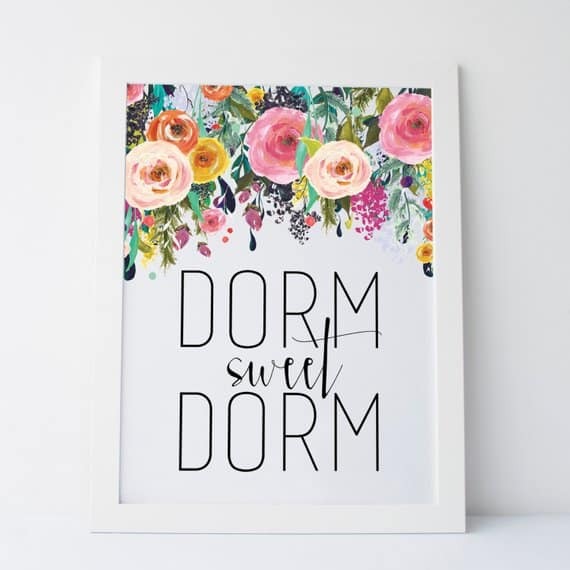 Girls will love this feminine and colorful Printable “Dorm Sweet Dorm” Floral Art which you’ll get as an instant download for just $6. 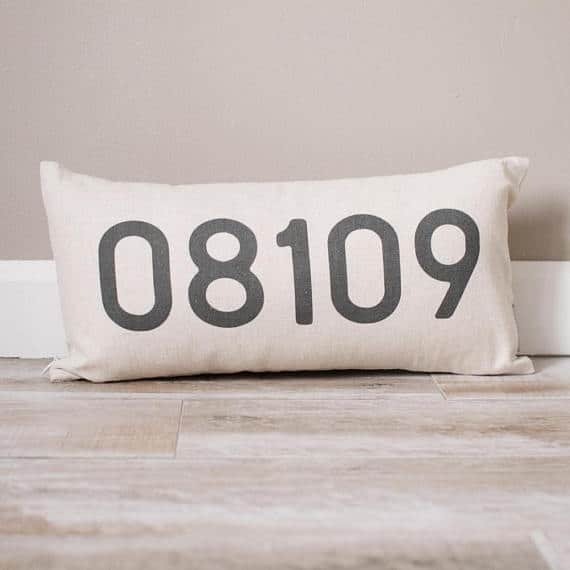 Your child can always remember where he or she is from and to share his or her hometown with friends with this fun Personalized Zip Code Pillow. I’ve never seen this before, and it is so neat! Grab this for as low as $25. Does your daughter need an easy, compact way to display and hold her earrings? 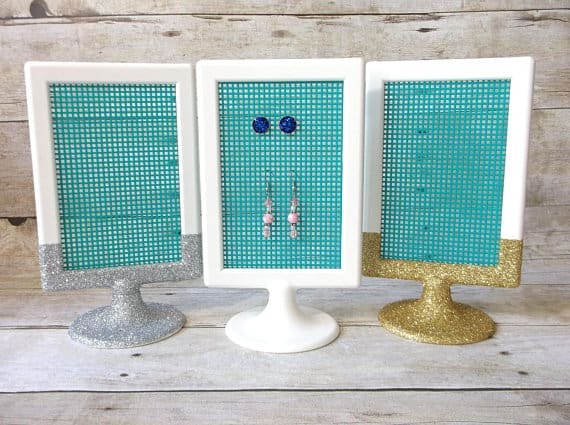 This Earring Holder is a must-have, and you can get it in fun glitter colors. This is priced as low as $9.99. A laundry tote to haul everything to the laundry room is something every college student needs, and I love the bright colors on this Fashion Print Mega Tote/Laundry Bag. Get this for $46. 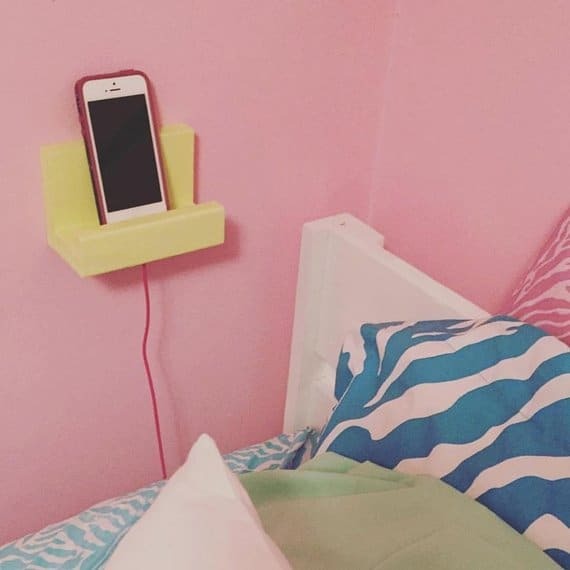 And, this Wall Cell Phone Holder and Docking Station is the perfect way for your college student to charge his or her phone or tablet. You can get this in a variety of stains and colors for as low as $19.99. It’s the time of year to start looking for booties for fall, and these Perforated Asymmetrical Booties are the perfect addition to your school collecion. Right now, these are 50% off – $29.99 (reg. $60). You can never have too many shoes – especially when it comes to the detail and style of these darling low profile booties. This perforated open side bootie will effortlessly spice up your everyday looks. Pair them with your favorite skinny jeans, leggings or even skirts and dresses for fabulous, chic look. You’ll want these in every color! Faux leather perforated ankle boot with an asymmetrical open side. Know a young adult leaving the nest this fall? Don’t let them start college without making sure they have heard the best advice out there on how to thrive on their own. From humorous to serious advice, find it all on these three books I have gathered for you. 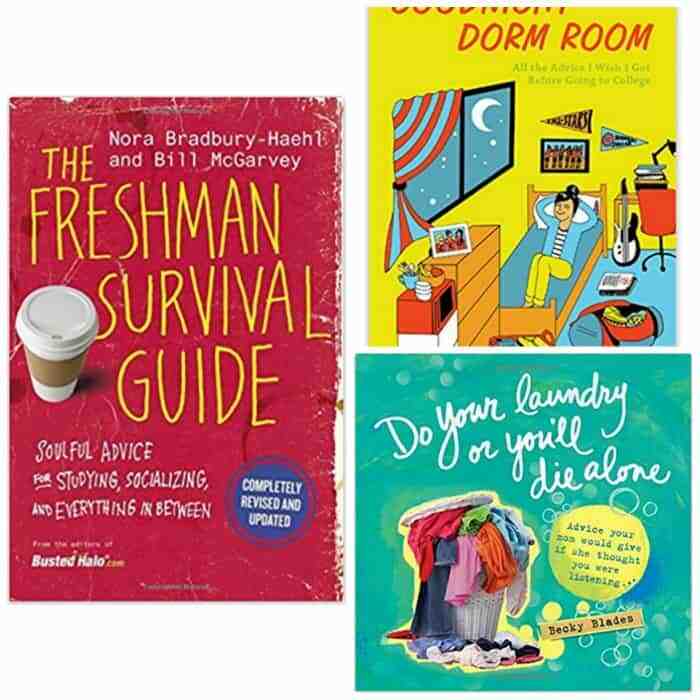 My favorite is this funny take on the book “Goodnight Moon”, instead get “Goodnight Dorm Room.” Here you’ll find advice on what to pack, how to balance school and social life, and more! 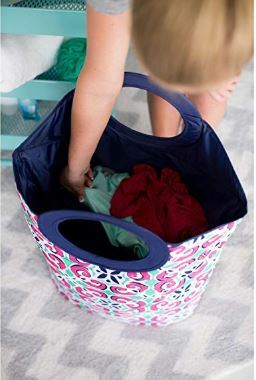 Did you see my post of this laundry mega tote? It’s a must for college-bound people! Brica Deluxe Snack Pod Just $12! 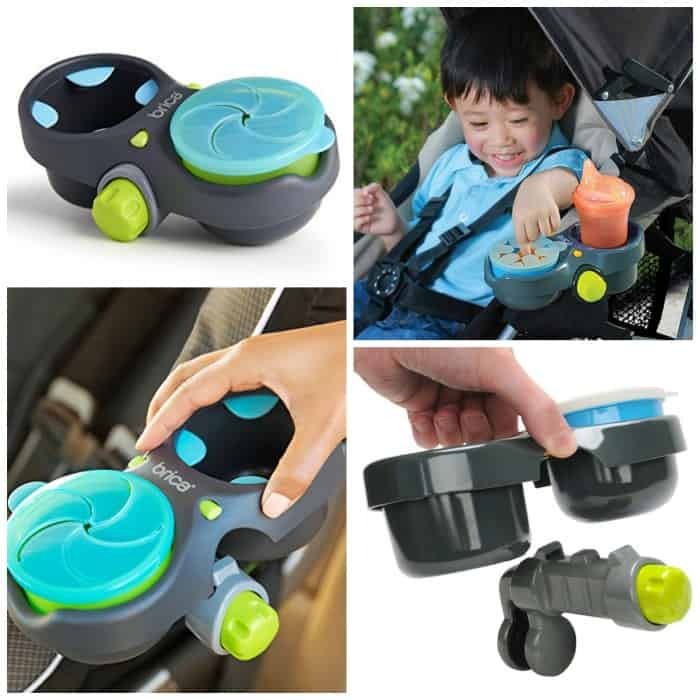 You need this Brica Deluxe Snack Pod for the car or stroller! Keep juice, crackers or cereal in reach, off the floor and out of the seat cushions with this spill-resistant snack and drink holder. This self-adjusting drink holder securely accommodates many drink sizes and the easy access Snack Catcher helps prevent spills. It detaches easily for clean up and it is dishwasher safe. 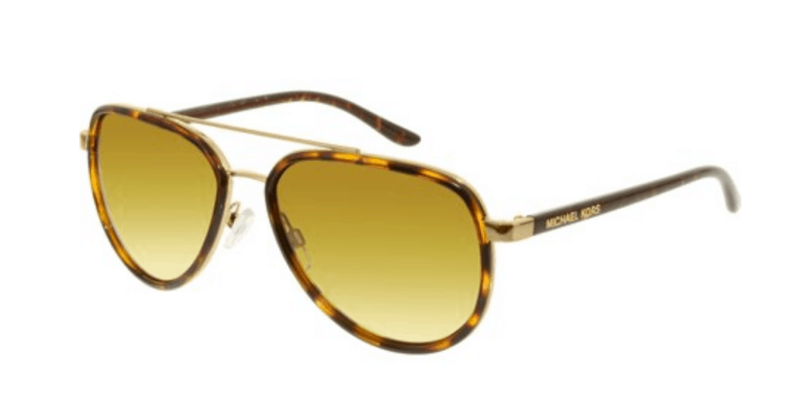 Michael Kors Women’s Tortoiseshell Aviator Sunglasses Just $68.99! Get these Michael Kors Women’s Tortoiseshell Aviator Sunglasses for 50% off or just $68.99! Tortoiseshell is a look that lends classic style and sophistication. These glasses offer 100% U.V. Protection. They come complete with Original Manufacturers Case and cleaning cloth. For a similar aviator stayle by the same designer but only $49.99, check out Amazon here. I live in tank tops, and if you do, too, you’re going to want to stock up during this blowout sale. Get these Racerback Layering Tanks for $6.99, down from $20. These tanks are great because you can wear them on their own paired with shorts, jeans or a cute skirt. Or, you can layer them under other tops for a fun, two-toned look. You can also wear these year-round by throwing on a cardigan or jean jacket when the weather turns cool. You’re going to want these in every color!